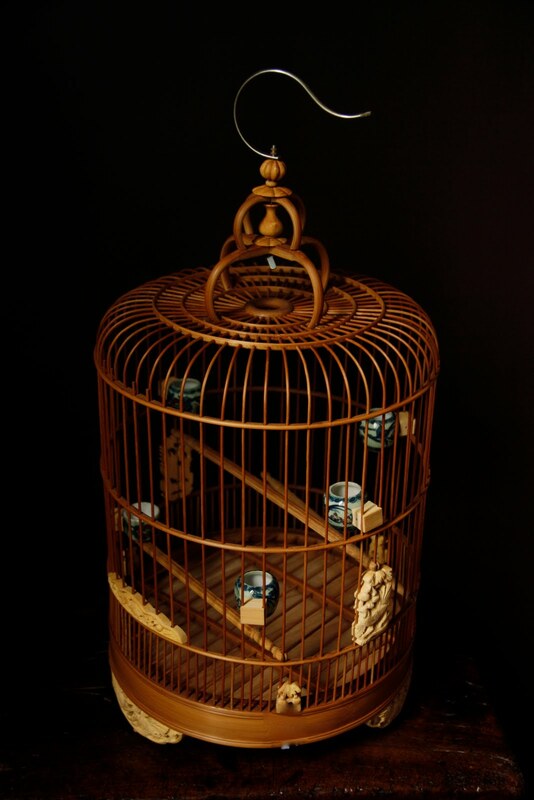 Chinese birdcages are so beautiful. 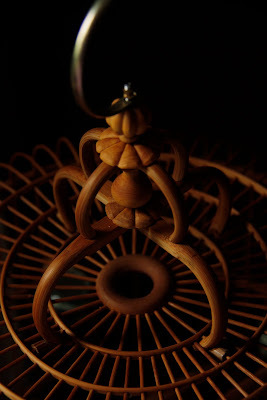 Each one is like a tiny palace, intricately constructed by hand. I've always wanted one, so I grabbed the chance today to visit the Bird and Flower Market on Wanhangdu Lu. I don't know why, but in Shanghai there are no Bird Markets selling only birds, and no Flower Markets selling only flowers. Only Bird and Flower Markets. Another Chinese puzzle. The birdcage shops are a wonderland for bird-lovers - beautifully carved perches, hand painted porcelain seed and water bowls and the cages - shaped like pagodas, lanterns or square, each one has exquisite details. 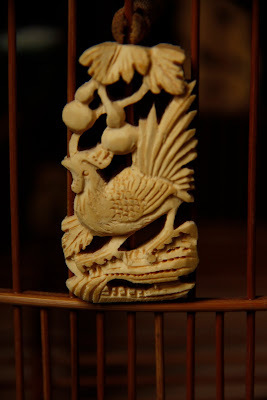 Mine has little hand-carved birds in a pale-coloured wood decorating it. Of course, they are tiny palaces, but tiny prisons too. Every time I'm out walking and hear beautiful birdsong, I look up to see a nightingale, an oriole or a jackdaw hopping around in a cramped cage. So rest assured, I have no intention of having a real bird in my cage. I just love it because it's so beautifully made.